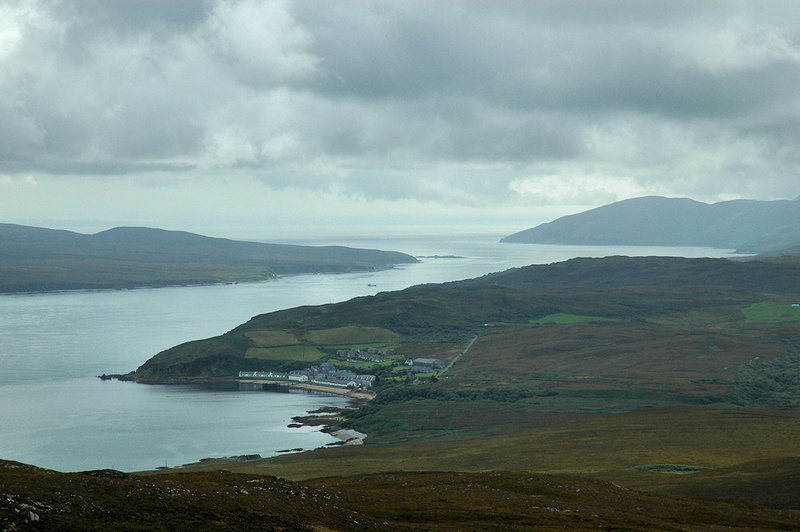 Probably one of the best views over the Sound of Islay can be had from Sgarbh Breac (364m) even on a cloudy day. This is the view south all the way to McArthur’s Head at the southern end of the sound. Right below us Bunnahabhain distillery. If you look closely you can spot the Jura ferry crossing the sound towards Port Askaig. This entry was posted in Cloudy Weather, Distilleries, Landscape, Repost and tagged Bunnahabhain, Islay, Jura, McArthurs Head, Sgarbh Breac, Sound of Islay by Armin Grewe. Bookmark the permalink.